Nye Davies examines calls for the Welsh Labour Party to become more autonomous in the wake of the Labour Leadership Election. In 2002 Rhodri Morgan made his famous ‘Clear Red Water’ speech, outlining the different path that Labour was to take in Wales compared with the Labour Party at Westminster. He argued that a different approach to Tony Blair’s was needed in Wales, admitting that “there are always going to be those ideological fault-lines in the approaches to social welfare in post-war social policy in Britain”. He did not propose a split from the British Labour Party – simply that there were different problems in Wales that needed different solutions. Since that speech was made, there have been major changes in British politics. 2015 – 2016 has been a turbulent period and has had a major impact on the Labour Party. First there was the election of outsider Jeremy Corbyn in September 2015 and then the EU referendum 9 months later. The vote for ‘Brexit’ has led to a huge debate in the party and a leadership contest, with many blaming the result on poor campaigning on the part of Corbyn. Welsh Labour might be considered to have done okay in the past year – the party only lost 1 seat in the 2016 National Assembly Election. However, their share of the vote decreased by 7.6%, the drop in support masked over by the semi-proportional voting system that operates in Wales. The Labour leadership election and its likely result has caused some Labour Party figures to think seriously about the future of the party in Wales. Former Welsh Government Minister Leighton Andrews has pointed to the possibility of a separation of the Welsh Labour Party. He said that if Corbyn was to be re-elected then “it’ll be devastating for Labour in the next general election” and that he thought there would be an “autonomous Welsh Labour Party” and a “separate Welsh Labour Party”. Calls for an autonomous Welsh Labour Party have been made in the past. After a poor 2015 General Election result, First Minister Carwyn Jones tweeted that it was “time for change in the structure” of the Labour Party. When asked if a federal party was an option he replied “one option”. 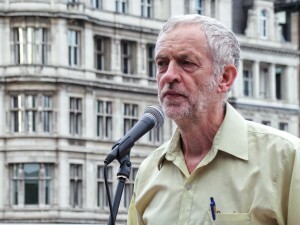 Even before his most recent comments, Leighton Andrews was calling for Labour to adopt a federal structure back in June 2015, stating that he didn’t care “who English Labour choose” as leader, instead asking the question “is there space for a three-nations Labour in a federal British party?”. The arguments for federalisation from Welsh Labour officials have gone on for some time, not just for the party but for the UK as a whole. In the wake of the Brexit result Carwyn Jones said that he didn’t want Wales to be seen as “some sort of annexe to England” but that “we don’t have to have independence – there is a way to ensure there is some sort of federation”. But questions remain over how an autonomous Labour Party would work how effective it could be. As Professor Roger Scully has pointed out, becoming a more autonomous party will not “insulate the party in Wales from its broader UK-wide problems” and that there is also the problem that MPs like leadership challenger Owen Smith would find the proposition of an autonomous Welsh Labour Party difficult to accept. Perhaps more internal wrangling, this time emanating from the Welsh branch of the party, is to come. It is also questionable how becoming an autonomous party can make a difference to its electoral prospects. Since devolution the ‘Welsh’ Labour brand has been very strong – just compare Labour’s electoral fortunes in Wales to those in Scotland, where a strong Scottish Labour brand has not been developed. Welsh Labour rhetoric, highlighted by Rhodri Morgan’s ‘Clear Red Water’, has promoted a different way of operating to British Labour so it is debatable whether a truly federal, autonomous party will turn Labour’s fortunes around. Dissatisfaction with areas such as health and education are surely more important to the people of Wales than the structure of the party. The lack of a strong Welsh media and the limited attention Wales receives in the British press will also be a hindrance to any attempts at becoming distinct from Jeremy Corbyn’s Labour Party. The current civil war may be a huge turning point for the Labour Party. If Jeremy Corbyn remains as leader – as it looks likely he will – then big questions will be asked about the future of the party as it currently stands. The role of Welsh Labour and its future in the British Labour movement will also be a question that needs answering. I feel that as things are in the Labour party at present further separation would not be advisable at least until the situation is clearer. Wales would have a lot to gain from Corbyn’s policies, especially the provision of jobs, housing and a radical reform of the benefit system. There are a number of issues peculiar to Wales of course such as a fair implementation of the Barnet formula and of course tax raising powers. We have had Labour government on Wales since the Assembly started and it is certainly true that a Tory government in Westminster cramps our style considerably. Many interesting and hopefully comradely discussions to come I feel. A more independent Welsh Labour Party would be an improvement but far more important is policies followed and representatives put forward. S.Wales seems riddled with post ind seats stuck with fairly centre to right wing sitting, nominally Labour MPs.Not much other than time seperates them from a similar fate to a similar situation in Scotland.ie big swathes of electorate disallusioned,leading to votes for someone else(SNP,and in Wales some UKIP drift). While most of these MPs would no great loss newer dynamic figures are needed,able to embrace commerce,a Welsh identity,technology and research,and not be a secret neo-liberal!